Kwara Poly HND Admission Form is Out | Kwara State Polytechnic, KWARAPOLY HND full-time and part-time programmes admission forms for the 2018/2019 academic session are now on sale. 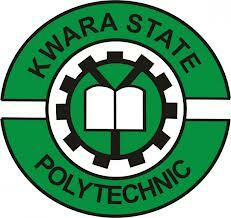 KWARAPOLY HND Available Programmes (Full-Time and Part-Time) . How to Apply for KWARAPOLY HND Admission.